Cities across the country have already worked towards banning plastic bags, and now Concord, Massachusetts has become one of the very first communities to ditch the single-use plastic bottle. The result of a three-year effort by local activists and an effective Ban the Bottle campaign, the new bylaw would make it illegal to sell non-sparkling, unflavored liquids in single-serving polyethylene terephthalate (PET) bottles of 1 liter or less. With exceptions for emergencies, a first offense will garner a warning, the second infraction incurs a $25 fine, and the third transgression earns a $50 fine. Concord’s Health Division is in charge of enforcing the ban starting the first of this year. According to Ban the Bottle, single-serve plastic bottles take 17 million barrels of oil a year to produce, enough fuel to power 1.3 million cars a year. 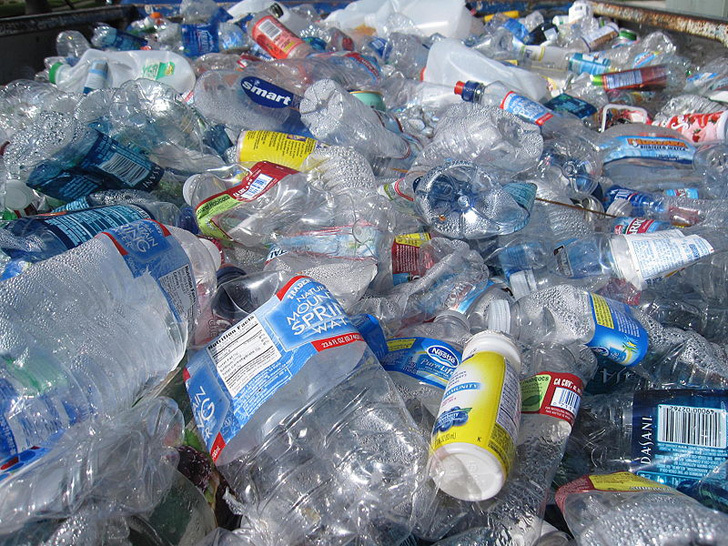 In 2007, Americans used 50 billion bottles, recycling only 23% of that amount. In 2010, the EPA estimated that the US generated 31 million tons of non biodegradable plastic waste. Banning plastic bottles in cities across the country could go a long way to reducing our petroleum footprint. Activists are not only concerned over the amount of fossil fuels needed to make a container, but the impact that the bottled water industry has on local aquifers. Community watchdogs are angry that large companies are in effect draining water tables and undermining tax payer-funded infrastructure in order to sell back subsidized water for a profit. Ban the Bottle also cites human health as an issue, noting that antimony, a chemical found in plastic bottles, has been known to cause depression and dizziness in low doses, and in large doses can induce vomiting, anxiety, and death. Some critics of the ban question the usefulness of the law, observing that those who want to buy single-use bottles can travel a short distance to neighboring cities to purchase them. Some businesses have also taken advantage of a loophole by selling 20 oz bottles, since the legislation only focuses on sizes 1 liter or less. Even so, it is encouraging to see a community make strides towards reducing its impact on the environment and help keep its citizens hydrated and healthy. To all the negative commenters.......are you serious? This is what needs to happen anywhere, especially in this day and age of extreme wastage, pollution and limited resources. To say it is stupid is so ignorant and shortsighted, as is saying "well, what about bottles of other stuff? ?.......we have to start somewhere and I think this is a very responsible way to cut down on wastage and pollution. The manufacturers won't do it themselves so they have to be made to do it. Also.....if you know you are going to be out for any length of time, take a bottle of tap water. Great, but why allow soda and flavored water to be sold in the same plastic? Ban it all or nothing to really make an impact. Great effort to save the environment. what\'s next? How do you sheeple like being told what you can and can\'t purchase? What about soda bottles, cans, glass bottles? I always carry tap water in a glass bottle. Screw top wine bottle lasts for ages. I should say so....my kids made a fortune at 2 cent deposit on bottles as they walked down the beautiful country roads. It was bubble gum money. Our water, that we have been selling for fifteen years is 500 million years old and should really be bottled in crystal. Our customers settle for clear glass. Many people I know can taste that plastic. It causes cancer, liver damage, tooth decay, and planetrot. I almost never buy anything in a small disposable bottle but I don't like this. From my prespective, if I am out and need a single serving beverage I am now limited in my choice to things that are less healthy or maybe even distasteful to me! Very Exciting! Which town will be next? Folks can go to the town next door to buy bottled water for now. We need to organize a campaign to buy in communities that have bottle bans! Maybe create a map? Cities across the country have already worked towards banning plastic bags, and now Concord, Massachusetts has become one of the very first communities to ditch the single-use plastic bottle. 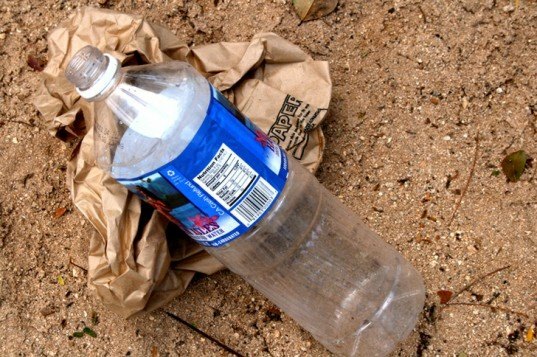 The result of a three-year effort by local activists and an effective Ban the Bottle campaign, the new bylaw would make it illegal to sell non-sparkling, unflavored liquids in single-serving polyethylene terephthalate (PET) bottles of 1 liter or less. With exceptions for emergencies, a first offense will garner a warning, the second infraction incurs a $25 fine, and the third transgression earns a $50 fine. Concord's Health Division is in charge of enforcing the ban starting the first of this year.